On the trips to Oaxaca I always try to include at least a day to drive up to visit the Tehuacan-Cuicatlan Desert. 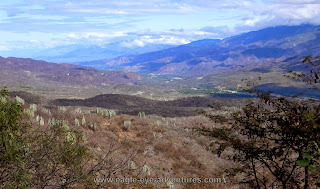 In a country like Mexico that has an incredible volume of plant diversity the state of Oaxaca itself sticks out as having an equally incredible level of diversity. Within Oaxaca (and the very southern edge of the state of Puebla), the Tehuacan-Cuicatlan Biosphere Reserve is the epitome of the diversity represented in the state. If you couldn't tell by all of the strong words I'm using, it is simply amazing. 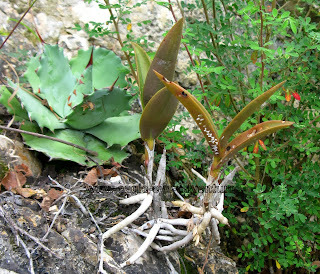 There are numerous endemics found in the many different unique ecosystems. With many mountains, canyons, and deserts it seems like everywhere you go you can find plants found no where else on earth. 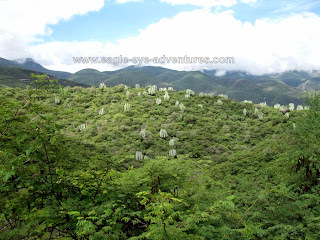 On the drive from the city of Oaxaca we cross through the rolling farms of the Oaxaca valley before climbing up and crossing a mountain pass where we start coming across hints of this great biodiversity. 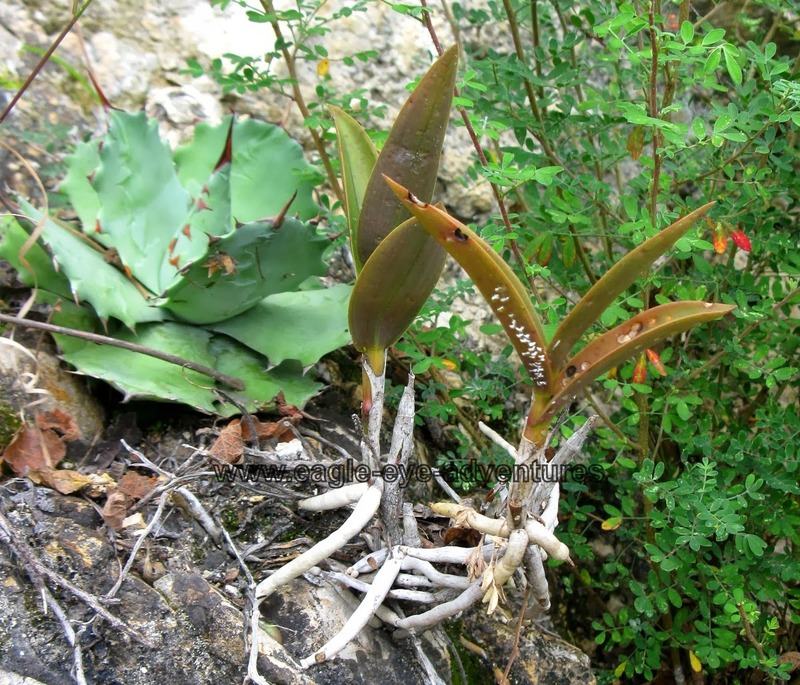 Species of Hechtias, high altitude Tillandsias (likeTillandsia prodigiosa), Echeverias, Mammillarias, Nolinas, Beaucarnias, Agaves, palms, and orchids all start making appearances. As we climb in elevation we can watch the plant community change with the cooler and more moist air. If the weather is just right we will have a chance to explore the forests with the fog to add to the character of the forest. 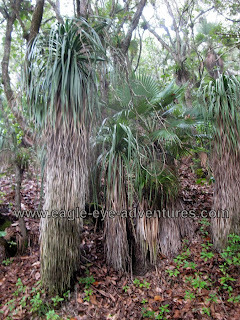 Then dropping back down into the desert we wind through several more, different plant communities. Open mountainsides dominated by dwarf palms and Dasylirion. Road cuts dripping Agaves, Hechtias, Mammillarias, and even Barkeria orchids. 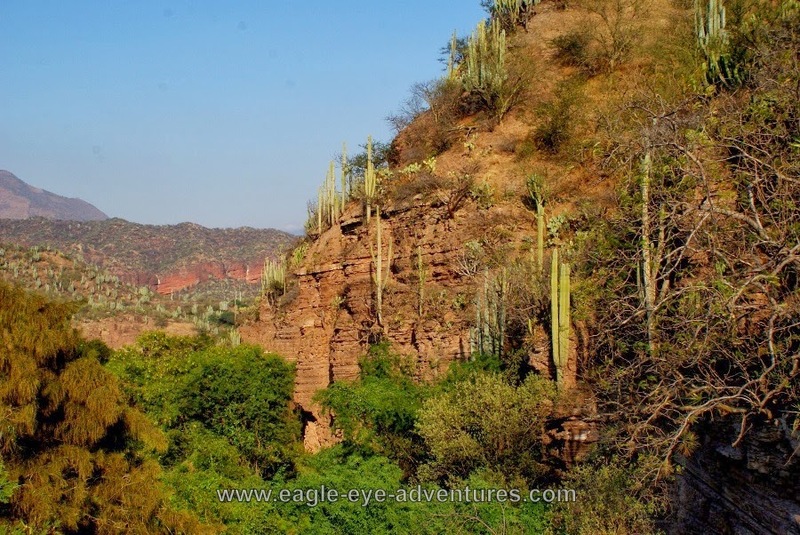 At an overlook for the Cuicatlan valley we can see miles of the desert thorn scrub with two species of large columnar cacti sticking out. Being the dry season, they will be clear to see. After the rains come only their tops will break the green canopy of the thorn shrubs. Across the rive the mountains rise up and you can see improbable fields clinging to the steep, upper slopes where villages live in the periodic fogs. 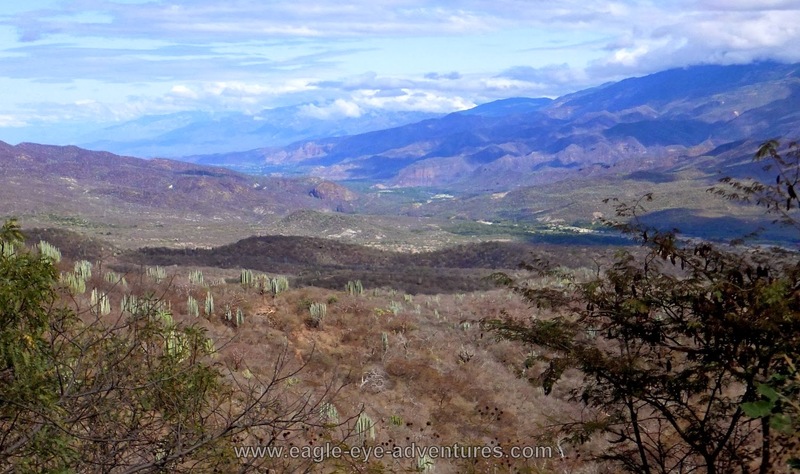 The southern edge of the Cuicatlan desert valley looks quite a bit different in the wet season (above) and the dry season (below). 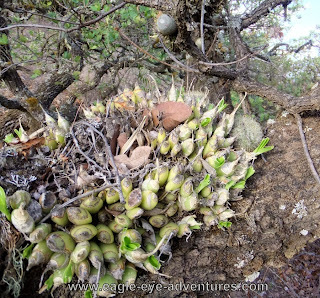 The cacti emerge above the thorn scrub year round, but gives a different impression in the two seasons. As you climb up into the mountains you will find many epiphytes like these orchids and Mammillarias growing in the oak trees with Tillandsia atroviridipetala. And of course one (of many!) major highlight of this area is getting a chance to wander among the giants of the desert, Pachycereus weberi. 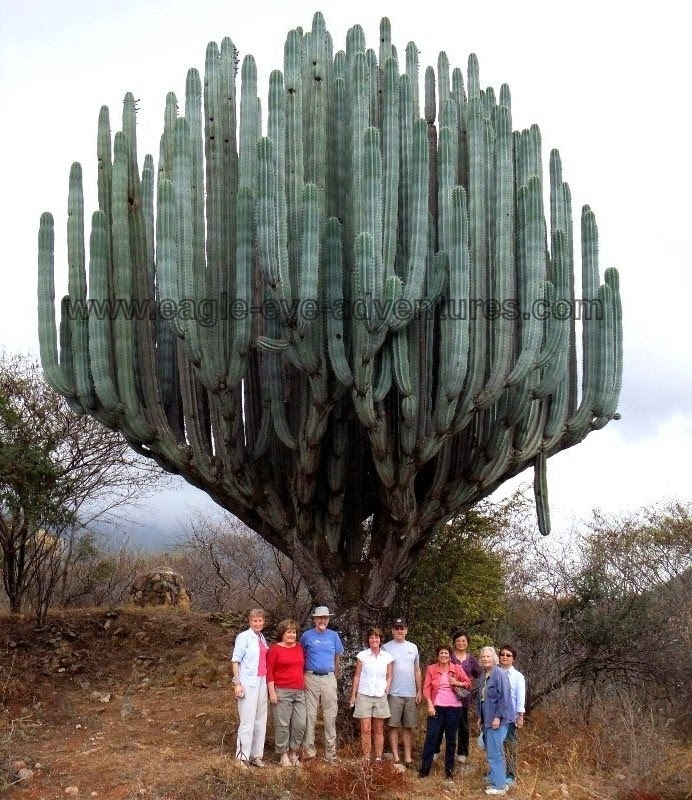 Cacti that grow so large that they develop into massive trees!